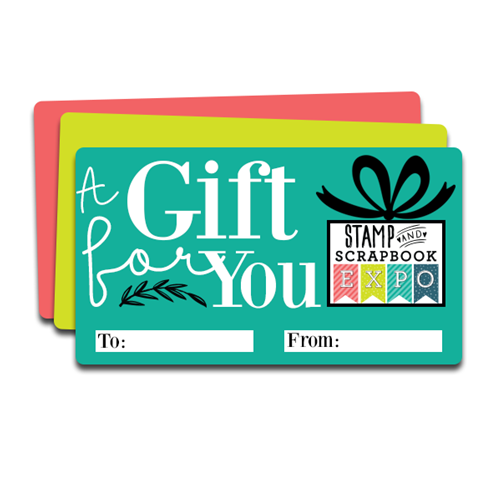 Put a smile on someone's face with a Stamp & Scrapbook Expo gift card! Our gift cards are the ideal way to go! They are available any time and the shipping fee is only $1.00 (USPS).